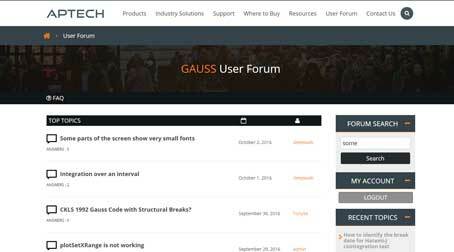 Install GAUSS on each client workstation where it will be run. Identify any Firewalls. If there are any firewalls present, including the Windows firewall, the Client License file must be modified to work with the firewalls. Please see Working with Firewalls for detailed instructions. If no Firewalls are present, place a copy of the license file used for the License Server machine in the GAUSSHOME directory. Verify GAUSS is using the Floating Network license of the License Server by selecting Help->'About GAUSS' from the main GAUSS menu and examining the License Type. Note: If the Help>About window says "Temporary", you are not accessing the License Server to check out a session. Install any GAUSS Application Modules (CMLMT, Maxlik, Optmum, TSMT, etc) that will be used with GAUSS on each client machine where they are needed. Use the Application Install Wizard with GAUSS 13 or later found under the GAUSS Tools menu to install the Applications on each client machine. Usually the ip address is specified if the client machine cannot resolve the FQDN of the License Server. Install any GAUSS Application Modules (CMLMT, Maxlik, Optmum, TSMT, etc) that will be used with GAUSS on each client machine where they are needed. Use the Application Install Wizard with GAUSS 13+ found under the GAUSS Tools menu to install the GAUSS Application Modules on each client machine. NOTE: If a firewall is present and ports are specified in the License Server license file, see the instructions on the Working with Firewalls page.